At my company, productivity is everything. With more than 80 clients and a never-ending cycle of critical deadlines, everyone needs to be firing on all cylinders. But how can you effectively ensure maximum productivity for an employee who works on the other end of the country or even the other end of the world? Like a lot of multinational employers, I find myself facing this quandary on a daily basis, but after years of trial and error, I have learned some pretty effective techniques for mobilizing my remote workers. These are techniques that any employer or supervisor can easily put to use as part of their own management process. One of my longtime employees, whom I’ll simply refer to as “Joey,” is a perfect example. Joey is based outside of Los Angeles and therefore unable to work in-house, but has nevertheless been a crucial member of our web development team. He now leads an entire team of developers and has been instrumental in streamlining and reinvigorating many of our web processes, but he wasn’t always the productivity powerhouse that he is today. In fact, during his first three months with the company, I really didn’t think he was going to work out. I knew Joey was a sharp developer, but like many remote workers, he just struggled to feel invested in the job he was doing and the company he was working for. When you don’t have people in the room to hold you accountable, it’s easy to succumb to the temptations of productivity killers like Facebook status updates and Netflix TV binges. This was certainly true for Joey in the early days, and the key was to jumpstart his motivation and to align his goals with the company’s goals. Fortunately, I was able to identify Joey’s productivity issues within 2 months of his hire. Many employers will go months or even years without scoping out these types of problems, and as you can imagine, the cost to the company can be enormous. It’s critical not only to monitor your employees’ output, but also to maintain strong ongoing communication. I knew that Joey was struggling, but I was able to really gain perspective on the situation using Time Doctor. At Coalition Technologies, we use Time Doctor to measure the productivity and output of each remote employee, and that helps us to solve most productivity conflicts before they get out of control. 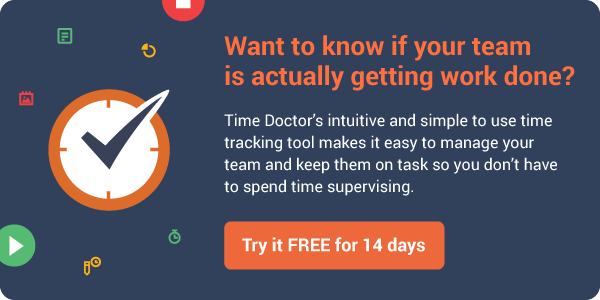 In my opinion, Time Doctor is the ultimate time tracking for agencies and productivity software, with comprehensive reports and screenshot capabilities. Using this software, I discovered that Joey’s keyboard was frequently idle, and his work was unfocused and poorly prioritized. Small clients were receiving more time and attention than large clients, and development projects were taking 2 to 3 times longer than similar projects completed by other developers on the team. Additionally, Time Doctor noted that Joey was spending a considerable amount of time on his personal Facebook account and at the ESPN website. Based on this information, I was able to devise some strategies to get him on track, and the difference has been night-and-day. I’ll talk more about that momentarily, but first it’s important to note some of the red flags that you may encounter in your own experience as an employer or supervisor. Uncovering the majority of these red flags will require a good time tracking and screen monitoring software like Time Doctor, and I highly recommend that you use such a program for managing your report employees. I would also note, however, that even without this kind of software at your disposal, you can still do a fairly decent job of gauging your employee’s productivity by focusing carefully on the timeliness and quality of the individual’s work. It’s also important to maintain a dialogue, but more on that later. Extended or Repeated Periods of Inactivity. Does an employee appear to be taking a lot of short breaks that are unaccounted for? This can indicate idleness. Make sure to also pay attention to the keyboard and mouse indicators on the Screenshots menu, and look for patterns of inactivity. Missed Deadlines or Declining Work Quality. Quite often, unproductive team members will delude themselves into believing that they can give 75% effort and still get the job done, but the truth is always evident in the results. So anytime you encounter a situation in which a team member’s work appears to slow, minimal, or sub par, stop and take a closer look at your employee’s time management. Recorded Tasks That Don’t Coincide with the Screenshots. For example, Joey’s latest Time Use report indicates 6 hours spent on web development, but Joey’s screenshots reveal very little time spent on development work. This kind of discrepancy can be one of the biggest indicators of a problematic employee, and that’s why it’s so critical to cross-reference your reports with your screenshots. Switching Repeatedly Between the Same Pages or Browsers for No Apparent Reason. This can indicate outright fraud on the part of the employee. I learned early on that an unproductive employee will open multiple tabs or windows, usually related to work but often unrelated to one another. The employee will then click from one window to the next at regular intervals, in order to provide seemingly relevant screenshots and avoid triggering inactivity warnings. If you notice a lot of relevant windows being opened, but not a lot of progress being made on any given task, it’s time to take action. I knew Joey was a good developer, and I wanted to give him a fair shake despite some problematic output. So the first thing I did was to set up bi-weekly one-on-one meetings to discuss his progress, achievements, and concerns. I had already done this with several in-house employees to great success, and my first meeting with Joey ended up being a real turning point. He confided that he was struggling to understand our processes for prioritizing client hours, and that he was confused about how to use Basecamp (our other essential productivity platform). I also shared my concerns with him, and noted the issues that I had observed in Time Doctor. Starting the very next day, I noticed a vast improvement in Joey’s performance. I noticed far less idle time, less time spent on non-work-related websites, improved prioritization, and more focused output. Within 3 months, he was our top developer. By simply listening to his concerns and connecting with him, I was able to make him feel more like a valued member of the team, which reinvigorated his motivation. By sharing my own concerns and observations regarding his output, I demonstrated that I do pay attention to his work, thereby reminding him to be mindful of how he utilizes his time. By answering his questions and providing coaching, I helped to quell his confusion and frustration, allowing him to improve his output dramatically. These bi-weekly one-on-one meetings are now conducted company-wide between supervisors and team members, and they have been instrumental in improving our success as a business. Joey has now been with our company since 2012, and since that time, we have introduced several new measures that have motivated him even more. Sure, we still monitor the Time Doctor data and provide additional coaching and correction when necessary, but perhaps the most powerful motivator introduced in the last two years has been our Key Performance Indicator (KPI) process. Perhaps you’re familiar with KPIs, or have even worked with them at some point. Some companies use KPIs to gauge the success of the company or individual aspects of the company, but at Coalition Technologies, we use KPIs to measure the performance of our employees. But it’s not enough to simply grade employees based on their output. The secret, once again, is to align their goals with the company’s goals, We have accomplished this by awarding monthly profit share revenue to each employee based on his or her KPI scores. So the higher your score, the bigger your bonus for that month. In Joey’s case, the incentive was enough to skyrocket his motivation to produce excellent work independently. Now he is one of our most valued team leads, well on the road to management. Speaking of the road to management, it’s important to recognize that even the most driven employee will eventually burn out if the job feels stagnant. That’s why I equip all of my team members – both in-house and remote – with clearly defined career objectives and benchmarks that trigger raises and promotions. For example, Joey was recently rewarded with a raise after completing his milestone of receiving 6 Outstanding KPIs and becoming AdWords and Analytics certified, in addition to reading a series of assigned books on development and project management. When your employees constantly have challenging but attainable milestones to reach for, their morale and motivation remain high, as does their productivity. You can motivate and mobilize your remote employees, but you have to be proactive about it on an ongoing basis. Take an active interest in your remote employees’ work, and keep a close eye on quality, timeliness, and the ability to meet deadlines without cutting corners. 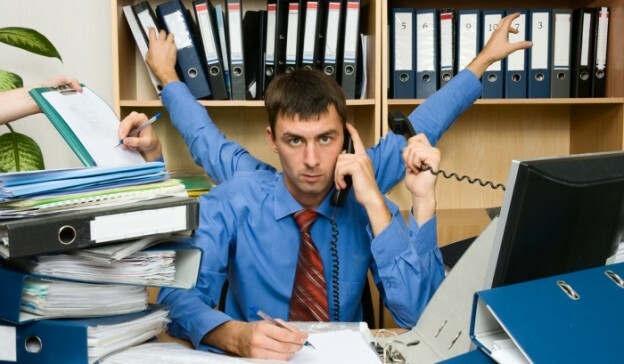 Use a time tracking software like Time Doctor to monitor productivity and identify red flags. Schedule regular meetings with your remote workers to address concerns, discuss strategies, and provide coaching. What tools or techniques have you personally found effective for motivating your remote workforce? This is a guest post from Joel Gross, founder and CEO of Coalition Technologies, a leading web-design and SEO agency based in Los Angeles. Joel has been in the online marketing business for more than a decade, and has worked with leading enterprises including CBS and Harvard University. 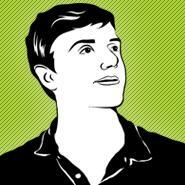 In his spare time, he enjoys rock climbing and web application development.